The #DoTheShiggy Challenge went viral June 2018 when Comedian Shiggy (@theshiggyshow on Instagram) posted a video of him having fun dancing to Drake’s ‘In My Feelings’ a new single off Drake’s latest album ‘Scorpion’. Shiggy stated in an interview that one of his friends re-posted the video and started the hashtag #DoTheShiggy which began to go viral shortly after, with celebrities and artist such as Kirk Franklin and Ciara also taking on the challenge. But it’s all fun and games until someone gets hurt! Although Shiggy’s original video shows him dancing in the street with vehicles passing, we never see Shiggy physically jump out of a moving car while driving, to dance. Somehow, the creative social media universe decided jumping out of moving vehicles to dance is a good idea. Not only are challengers jumping out of moving vehicles on busy streets but we have also seen videos of Motorcyclist dancing on the seats of their Motorcycles while in motion on busy roads. When Challenges Go To Far! As challenges go viral, it’s important that those participating consider the safety of not only themselves but those around them. With the #DoTheShiggy Challenge, in particular, jumping out of vehicles on major intersections and streets is just not smart! No matter how slow the car is moving it still can turn out badly if the individual is unable to get back into the vehicle or control the car before crashing into someone or something. 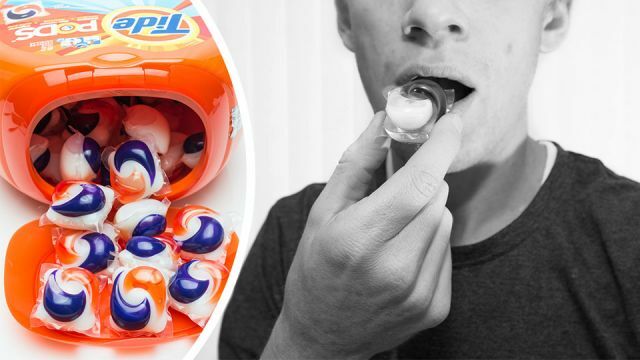 Earlier this year another challenge went viral where teens were eating Tide Pods, which is very dangerous and can lead to death. Although deaths were rumored, upon some research, we couldn’t find any death cases as of this article, but there were many reports of Tide Pod poisoning which prompted Procter & Gamble to change their containers while also adding more warning labels. Some social media outlets also took down videos of teens participating in the challenge. Live To Dance Another Day! I don’t believe that Shiggy in particular, started the #DoTheShiggy Challenge with the intention to encourage anyone to put themselves in dangerous or life-threatening situations. The challenge is fun and meant to invite you to get your dance groove on. Before participating in any #challenge consider your environment and the potential consequences of your actions and in this case dance on, Safely!